Live updates below the article. Around 16:40 UTC tomorrow, November 15, 2018, the Bitcoin Cash network is set to undergo another hard fork upgrade. But contention about this upgrade has left the Bitcoin Cash ecosystem divided, which could once again lead to a split into multiple projects and coins. Here’s what you need to know about the upcoming Bitcoin Cash fork to get up to speed. As a quick reminder, what is Bitcoin Cash again? The Bitcoin Cash dispute is really between two competing factions, represented by their respective software implementations. In one corner stands Bitcoin ABC, the “original” Bitcoin Cash client that caused the split away from the Bitcoin blockchain a little over a year ago. Led by Amaury Séchet, and with close (though unofficial) ties to major mining hardware producer Bitmain, Bitcoin ABC has a policy of hard forking about once every six months to upgrade the protocol. This time, Bitcoin ABC will introduce several changes. The first and probably main one is called “Canonical Transaction Ordering” (CTOR). While transactions can currently be included in a block in almost any order, under CTOR, transactions must be included in a specific order. The Bitcoin ABC development team believes this offers a couple of technical benefits, in part related to (future) scaling improvements. A second change is a new piece of script (an “OP code”) called OP_CHECKDATASIG (DSV). This extends Bitcoin Cash’s features, most notably by enabling oracles (which allow for a class of smart contracts). Bitcoin ABC also introduced some smaller technical fixes, like a minimum size for transactions. In the other corner stands nChain and its chief scientist Craig Steven Wright, who claims to be the man behind the monicker Satoshi Nakamoto, but has publicly only been able to produce fake evidence. Having released a relatively new software implementation named “Bitcoin Satoshi’s Vision” (Bitcoin SV), Wright says he wants to restore Bitcoin to its original protocol: the 0.1.0 version launched in 2009. After that, he’d take a rather conservative approach with few or no further protocol upgrades. To achieve this, Bitcoin SV makes a few changes relative to Bitcoin ABC right now. First, it rejects CTOR, as nChain believes the potential benefits are insufficiently proven and the risks are too high. Second, it increases the default block size limit to 128 megabytes (versus Bitcoin ABC’s 32 megabytes). And third, it reinstalls several old OP codes (with names as OP_MUL, OP_LSHIFT, OP_RSHIFT and OP_INVERT). It also removes the size limit on scripts. With Bitcoin ABC and Bitcoin SV as the two main competing factions, most of the Bitcoin Cash ecosystem has, by now, picked a side in the dispute. Most of the biggest Bitcoin Cash service providers have indicated that they will support the Bitcoin ABC hard fork as well. Besides Bitmain’s wallet and block explorer BTC.com, this includes cryptocurrency exchanges Coinbase, Binance and Kraken, payment processor Bitpay and API-provider BitGo. Besides nChain, the companies that expressed support for the Bitcoin SV hard fork are generally smaller. Of those, media outlet CoinGeek is probably the best-known example. CoinGeek owner (and online gambling tycoon) Calvin Ayre is probably also the most well-known individual supporting the Bitcoin SV hard fork — besides Craig Steven Wright, of course. Most “big name” Bitcoin Cash proponents instead appear supportive of the Bitcoin ABC hard fork — or at least dismissive of Wright and Bitcoin SV. This includes bitcoin.com CEO Roger Ver, Bitmain co-founder Jihan Wu, Pirate Party founder Rick Falkvinge, Cornell professor Emin Gün Sirer, but also Ethereum founder Vitalik Buterin and others. At the time of writing, most users seem to favor Bitcoin ABC as well. On futures markets, such as those offered by cryptocurrency exchange Poloniex, BCH ABC futures are trading at around $260, while BCH SV futures are trading at around $220. (Though the difference was much bigger only few days ago.) General sentiment on social media like Reddit and Twitter also appears to favor the Bitcoin ABC hard fork — though this is considered irrelevant “proof of social media” by Bitcoin SV proponents. What matters, they say, is proof of work. Which brings us to Bitcoin SV’s main "weapon" — perhaps literally. At the time of writing, all the biggest Bitcoin Cash mining pools are supportive of Bitcoin SV. Calvin Ayre’s private CoinGeek pool, Wright and nChain’s public SVPool, nChain’s private BMG Pool as well as Okminer and Mempool all favor Bitcoin SV, representing up to 60 or 70 percent of hash power. The rest of the pools — a minority — are either neutral (for example planning to follow majority hash power) or in favor of Bitcoin ABC. Does this mean the chain will split? And what is all this talk about a “hash war”? Technically, Bitcoin Cash will indeed experience another coin-split as soon as either Bitcoin ABC or Bitcoin SV mines a block that’s invalid on the opposing chain (for example, because transactions in the block are ordered incompatibly). This also means that all BCH holders get coins on both sides of the split. In principle, all users should be able to mine, send and receive both coins. If this were a “clean split,” the two coins would be separated through a technical trick called “replay protection.” Transactions on one chain are invalid on the other, so (regular) users would be affected as little as possible. But this will not be a clean split. While Bitcoin ABC implemented replay protection, Bitcoin SV copied this “protection” to cancel it out. As such, transactions will look identical on both chains. This means that a Bitcoin ABC transaction can be re-transmitted (“replayed”) on the Bitcoin SV chain, having users accidentally spend both. And the other way around: Bitcoin SV transactions can be replayed on Bitcoin ABC. When Ethereum Classic and Ethereum split without replay protection in 2016, this caused significant losses to unprepared exchanges, like Coinbase. Therefore, this time many exchanges and other service providers will halt withdrawals and/or deposits for some time. Craig Steven Wright has explicitly stated that, in an attempt to ensure only “his” chain survives, he and others will use any hash power under their control to 51%-attack the Bitcoin ABC chain. Such attacks, first speculated about during Bitcoin’s scaling dispute in 2017, could, for example, consist of mining only empty blocks on Bitcoin ABC and “orphaning” (rejecting) any blocks mined by “honest” Bitcoin ABC miners. This would have the effect that no transactions will confirm on the Bitcoin ABC chain at all, and that “honest” miners will be strongly discouraged from mining on it: their hash power would go to waste. If Wright and others successfully take this (rather unprecedented) step, there would not be a meaningful chain-split after all: only the Bitcoin SV chain would survive. While all this is very speculative, Bitcoin ABC could defend itself against such an attack in several ways, too. For one, Bitcoin ABC users could simply wait out the attack, as it costs the attackers money every hour, and this cannot last forever. Alternatively, (Bitcoin) miners could opt to draw more hash power from the Bitcoin blockchain to mine on the Bitcoin ABC chain, or deploy more hash power altogether. (Some news sources claim Bitmain is indeed doing this.) Or, in what is typically considered the “nuclear option,” Bitcoin ABC could choose to deploy another hard fork to change the proof-of-work algorithm, rendering the attacking mining hardware incompatible with its blockchain. 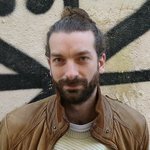 (Bitcoin ABC lead developer Amaury Séchet has already acknowledged this option is on the table.) There may be other countermeasures too, like less radical protocol changes. Or, perhaps all this talk of a hash war will soon prove to have been nothing but a bluff. Bitcoin Unlimited chief scientist Peter Rizun, for example, doubts that the Bitcoin SV development team will be capable of pulling off a successful attack in the first place. Do I need to do anything? Will I get both coins in case of a split? Once again, it’s complicated. But here’s the important part: If you own BCH, control your private keys and don’t transact during the fork, you’ll own any post-split coins. With that out of the way, there are roughly three scenarios to take into account. Third, we can’t ignore the possibility that a hash war could escalate to the point that no coin is left standing — at least, not in a meaningful way. Whether it will be due to the 51%-attacks themselves or a loss of confidence or otherwise, cryptocurrencies can fail, and given the circumstances described in this article, Bitcoin Cash is certainly no exception. There are more potential scenarios, some of which would result in even more coins. This includes a coin that ignores both Bitcoin ABC and Bitcoin SV’s upgrades or a “coin” that is compatible with both. But these scenarios seem quite unlikely or temporary at best and are probably not something worth worrying about for the time being. 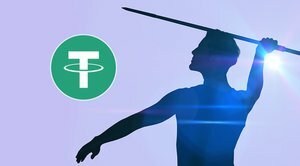 This article will be updated as the events of the fork unfold. Update, November 14th, 22:05 UTC: Roger Ver's mining pool bitcoin.com announced it will redirect hash power from Bitcoin to Bitcoin Cash ABC for one day. Update, November 14th, 23:00 UTC: While it may of course be unrelated to the upcoming hard fork, BCH prices tumbled from about $530 to about $440 today. This is more than most other cryptocurrencies, most of which are down significantly. Update, November 15h, 11:40 UTC: Tensions are running high as the Bitcoin Cash hard fork and potential hash war draws closer. According to a screenshot circulating over social media, Bitmain cofounder Jihan Wu has pledged to be "all in to fight till death". Update: It looks like the screenshot may have been fabricated. Update, November 15th, 13:05 UTC: More good news for Bitcoin ABC: major cryptocurrency exchange Bitstamp and internet pioneer John McAfee have pledged their support. 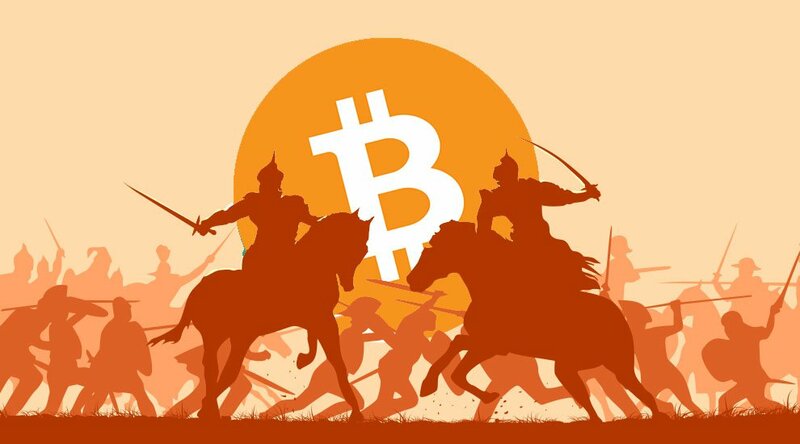 Update, November 15th, 13:20 UTC: For an overview of different types of attacks that could be deployed during the BCH hash war, see these articles by CoinDesk's Rachel Rose O'Leary and BTC.TOP CEO Jiang Zhuoer. Update, November 15th, 14:35: With a little over two hours to go until the hard fork takes place, BCH SV is trading significantly lower than BCH ABC on Poloniex' futures market: $125 versus $290. Update, November 15th, 15:15: Data, statistics and other information about the upcoming hard fork can also be seen live on webpages including hashwar.live, forkmonitor.info, statocashi.info and cash.coin.dance. Update, November 15th, 15:50: With less than an hour to go until the hard fork, BCH SV futures dropped even further relative to BCH ABC: $80 versus $275 on Poloniex. Hash power over the past day still favors Bitcoin SV with about 70%, with the remaining 30% divided between Bitcoin ABC and neutral. Update, November 15th, 16:20: With 20 minutes to go until the hard fork, only one Bitcoin Cash block was mined for over an hour. The block was mined by an unknown miner, and (oddly) did not include any transactions. Update, November 15th, 16:30 UTC: A regular Bitcoin Cash block was mined by bitcoin.com. Still no block mined by a Bitcoin SV pool, for almost one and a half hour now. Update, November 15th, 16:40 UTC: The official hard fork time has been reached, but it can take about another hour before different nodes enforce incompatible rules. In the mean time, both Bitcoin SV and Bitcoin ABC pools have mined regular blocks. Update, November 15th, 17:00 UTC: Two regular Bitcoin Cash blocks have been mined by Bitcoin SV supportive pools. Different nodes will start enforcing incompatible rules after another four blocks. Update, November 15th, 17:10 UTC: There are at least three livestreams of the event. One hosted by Bitcoin ABC supporters, one hosted by Bitcoin SV supporters, and one hosted by Bitcoiners. Update, November 15th, 17:53 UTC: Six blocks have been mined since hard fork time activation passed. From now on, different nodes are enforcing incompatible rules, and the chain could "split" at any time. Update, November 15th, 17:55 UTC: As we wait for a potential split, many spam transactions are being sent over the Bitcoin Cash network. Update, November 15th, 18:07 UTC: Bitcoin.com found a Bitcoin Cash ABC block, rejected by the Bitcoin Cash SV network. Bitcoin ABC has hard forked, and the chain has split. Update, November 15th, 18:09 UTC: Another Bitcoin Cash ABC block was found. There has been no Bitcoin Cash SV block yet. Bitcoin Cash ABC is now two blocks ahead. Update, November 15th, 18:21 UTC: The first Bitcoin Cash SV block was just found. Both Bitcoin Cash ABC and Bitcoin Cash SV are building on their own chain, with Bitcoin Cash SV one block behind. Update, November 15th, 18:34 UTC: Both Bitcoin Cash ABC and Bitcoin Cash SV have found more blocks. No 51%-attack has happened so far. Update, November 15th, 18:35 UTC: Bitmain cofounder and Bitcoin ABC proponent Jihan Wu appears to be claiming victory on Twitter, stating "there will be no more negative gamma after this block in BCH community!" Update, November 15th, 19:00 UTC: Both Bitcoin Cash ABC and Bitcoin Cash SV continue to find blocks, with Bitcoin Cash ABC ahead. There is still no sign of a 51%-attack. Bitcoin ABC supporters on social media are cautiously starting to declare victory. Update, November 15th, 20:42: UTC: Bitcoin Cash SV is now one block ahead of Bitcoin Cash ABC, claiming the longest chain. Update, November 15th, 22:23: UTC: Bitcoin Cash ABC overtook the Bitcoin Cash SV chain again. Update, November 15th, 22:45: UTC: The Bitcoin Cash ABC chain is more than ten blocks ahead of the Bitcoin Cash SV chain at the moment. There is still no sign of 51%-attacks. Update, November 15th, 23:00 UTC: On Poloniex, BCH ABC is trading around $290, while BCH SV is trading around $95. At these rates, BCH ABC would be the fourth biggest coin (similar to BCH right now) by market cap. BCH SV would take the 8th, 9th or 10th spot (it would be close). Update, November 15th, 23:20 UTC: While the Bitcoin Cash SV protocol now allows for 128 megabyte blocks, the biggest block so far was just under 32 megabytes: the same limit as previously set on the Bitcoin Cash chain and currently on the Bitcoin Cash ABC chain. Update, November 16th, 01:25 UTC: This live blog will no longer be updated. So far, Bitcoin Cash has split in two. The Bitcoin Cash ABC chain is much longer than the Bitcoin SV chain. BCH ABC is also trading higher on (futures) exchanges. There is no sign of any 51%-attacks. Bitcoin ABC proponents seem to generally feel victorious, though many Bitcoin SV supporters haven't quite conceded defeat as they believe 51%-attacks may still come.